We’re New York’s premier carpet cleaning company. Over the past 30 years, we’ve developed our business mainly through word of mouth. Satisfied customers tell friends and family, and we’ve built a loyal customer base. We’re excited to add you to our list of clients. 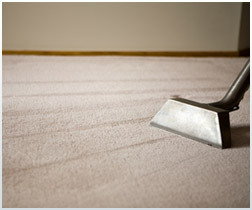 The highlight of New Yorker’s Carpet Cleaners is the quality of our service. We use the most advanced technology to bring your carpet back to its former glory. Add to that our commitment to environmental sustainability (we use only organic, non-toxic cleaning solutions designed to protect your family), and you’ll see why New Yorkers are consistently ecstatic with our service. New Yorker’s Carpet Cleaner’s technicians utilize innovative techniques to get your carpets clean. We understand that every carpet is different, and we’re armed with a variety of weapons to deal with that dirt and grime that now mar your once-beautiful carpet. Shampoo Cleaning: After a thorough vacuuming, a foaming detergent is applied to the carpet through a rotary brush machine. While the detergent breaks down the dirt and stains in the carpet, the rotary brush captures all of these particles. Finally, another machine is used to apply hot water before sucking all the moisture back in, leaving you with a fresh, clean carpet. Carpet Dry Cleaning: This is the newest carpet cleaning technique in our arsenal. A minimum of moisture is used, making this method perfect for those humid summer months. Instead, we use quality Allersearch carpet cleaning products to absorb all of the dust and particles. That means that by the time we leave your home, you’ll be able to walk on your freshly cleaned carpet. Steam Cleaning: This is yet another one of the powerful options we have for cleaning your carpet. At over 200 degrees, steam is applied to the carpet in concert with a cleaning solution. In cases of allergy and asthma, steam cleaning is particularly effective in improving your family’s health. An end to the sneezing and wheezing caused by dust and dirt mites trapped in the fibers of your carpet. A commitment to using only organic, non-toxic solutions that don’t endanger the health of your family (unlike the harsh chemicals used by other companies). Carpet that is completely odor-free. A 100% satisfaction guarantee. We’re not happy until you’re happy!